Unite star-crossed lovers on the opposite ends of an incredible war! Help Rick, a young warrior, get together with Yuki and live happily ever after! 50 years after an alien invasion of Earth, humankind has fled to the planet of Kimori. The Jinrians are in love with their new home, while the Bidarians are obsessed with reclaiming Earth. 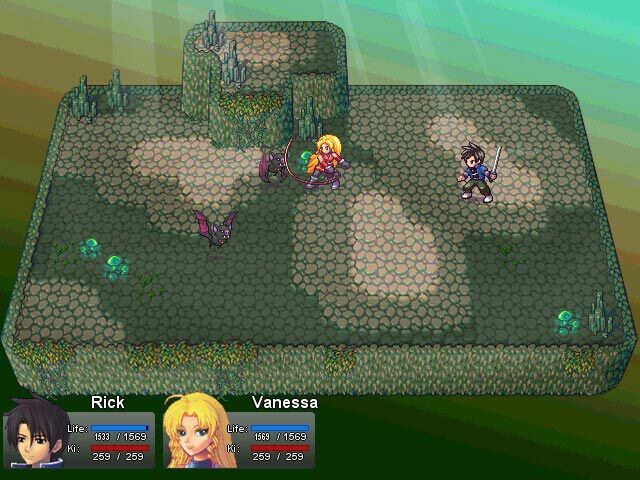 See how their battle plays out in Alpha Kimori, a fun Role Playing Game (RPG). 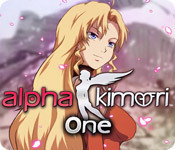 Alpha Kimori ™ is rated 4.8 out of 5 by 16. Rated 5 out of 5 by MatsumotoKenji from Good 2D JRPG The story is good and this is the main reason why i finished the game. Battle system is better than most of the similar game i have played. Rated 5 out of 5 by KatieMajik from Fun, engaging and highly reccomended This game allows for active challenges not to difficult but not easy either. Very good storyline. Graphics are in a traditional style fpr RPGs but kept me involved. I highly recommend this game and can hardly wait for the next one! Rated 5 out of 5 by blb1981 from Great game!! Can't wait for next installment! This game was beautiful and really kept me interested in the storyline every step of the way. Many of the RPG's are so basic but this one was not at all. This first part was a bit short though. I am looking forward to the next part of the story! Rated 5 out of 5 by outlandish38 from Engaging story and characters and gorgeous graphics First of all the retro sprite graphics in this game are gorgeous. All the main characters have painted portraits with different expressions. 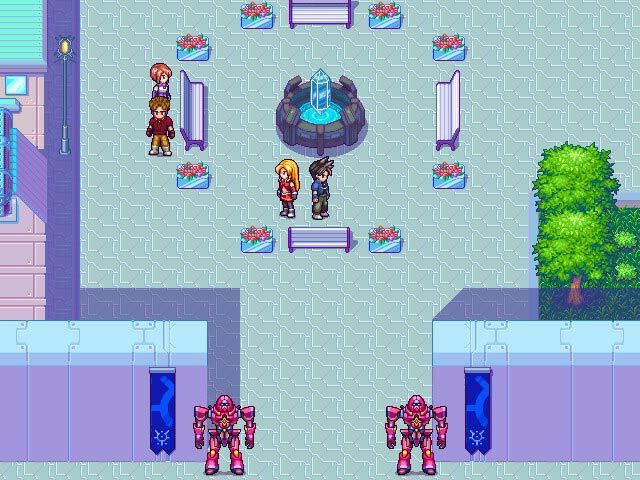 Unlike most RPG Maker made games, it seemed like all the art and music was original and wonderfully done. I especially thought the turn-based battle sprites and animations where awesome. The theme song was great with a Japanese vocalist and lyrics and really set the tone of the game. The story was a bit convoluted and complex and at times and the underlying message or theme seemed a bit unclear. That little problem aside I found the story gripping and couldn't wait to see what happened next. The characters were engaging and I really found myself getting attached to them, especially Vanessa. This was made even better by the fact that the main characters all had nicely illustrated portraits that changed expressions depending on the mood. This, in my opinion, made a huge difference. The turn-based battles were okay but got a bit tiresome at times. The real treat in the battles was the great battle character art. This game had great looking enemies, all animated, and original looking. Also a great boon was that you could see the enemies on the main map screen and could avoid them if you weren't into fighting at that time. The game is kind of short and to me felt like there was a lot of "busy work" and backtracking. I'm not sure how many times I had to search through the same three forests looking for different characters, enemies, or items. There were times when I really wanted to get on with the story and then found I had to backtrack and walk through the whole of three different areas that I'd already been through several times before. It got a little tiresome and repetitive. Even so, don't let that put you off. The story was engaging and I have to say had some of the most epic moments I've seen in an rpg like this. Moments with giant anime style robots fighting it out with big boss monsters, pitched battles, daring escapes and much more. It felt very epic, and made all the more so by the brilliant artwork. The backgrounds, and characters looked so amazing! I love the "Angel" robots. And by the end you really felt that great feeling of empowerment that make these rpgs so fun. The battle animations were pretty awesome as each special skill had a large image of the character and a fancy animation. The game took me approximately seven or eight hours to play, but then I did most of the little side quests and took my time. One caveat I found was that the mouse interface wasn't very smooth. Not as smooth as that used for the Aveyond games. There were times it was hard to go up to a shop character or sign or door and had to click on the tile in front of the sign first. Otherwise the interface was good and very much like in the Aveyond games which is no surprise since the maker of those games had a hand in this one too. All in all I'd say give this one a try and you'll probably get sucked into it like I was. 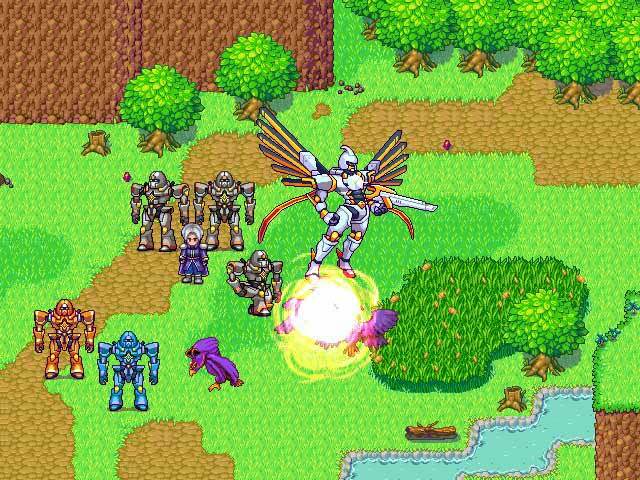 If you're a fan of retro Japanese style RPGs then definitely play this one. The game has a good ending with a bit of a to be continued thing going on setting up the sequel. But I still felt it was a great and satisfying ending to this first game. Let's see the next in the series! Rated 5 out of 5 by Galactic_Moogle from Great fun, but will leave you wanting more! This game is a lot of fun! If you like the classic style rpgs, I think you will like this one. The story left me wanting more and made the game feel incomplete. It was also short compared to the rpgs I am used to playing. I liked that they had sidequests and even though the story is incomplete, it was pretty good up until then. It left me anticipating a sequel so they did something right! Rated 5 out of 5 by TraeTrae from LOVED IT This is a great RPG. I downloaded the free trial and just had to buy it after my time was up (60 minutes isn't nearly long enough). I found it hard to stop playing and now want to finish the other parts to the story. It's a great game. Rated 5 out of 5 by cmbmom from Excellent! This game, by far, is my favorite 2D RPG game of all time! I enjoyed every minute of my gameplay experience and felt that it was just right for me. I was really surprised when I heard Miku Hatsune in the intro as well! I am sure that I will follow this series til the end. Rated 5 out of 5 by phaechan from Story-like game This game, for a 2D type of RPG, is amazing, fun, and really gets your attention. The two people that created this one-part-of-three game have a fairly big background in helping create games, even if it's just for the art; some of which have been released on the Nintendo DS gaming systems. The best thing about them is that they make their own avatars for the game instead of using pre-rendered characters, which is what initially caught my attention; it didn't /look/ like the other games. It's heavily focused on the Japanese genre of role-playing games, featuring music with real words, which adds to the feeling of the game. This particular chapter was a little on the short side, but I've heard they're making the next ones much longer. The story and characters are all very well detailed and have a lot of thought put into them. Overall, if you enjoy stories, then you should check this game out. It's like playing a book. Unite star-crossed lovers on the opposite ends of an incredible war! Help Rick, a young warrior, get together with Yuki!